Click on alphabet for god/goddess Fallen angel Names & Meaning. fallen angel of death whose name means "to destroy." One- winged Red Sea fallen angel. fallen angel who is a duke in hell. name of the fallen angel who appears as a unicorn. fallen angel who is a strong marquis over 40 legions. name of a fallen angel who is a president in hell. fallen angel who can transform humans into birds. fallen angel who appears as a man holding a serpent. fallen angel of death; same as Abaddon. fallen angel who teaches the "resolving of enchantments." fallen angel king with three heads: a bull, a ram, and a man. one of the most evil of fallen angels, being an archdemon. fallen angel who is a grand duke in hell. evil, fallen angel who cohabited with women. fallen angel whose name means "God strengthens." fallen angel whose name means "the strong." fallen angel whose name means "the lord." fallen angel who looks like Asmoday with a serpent tail. fallen angel who is a grand pontiff in hell. fallen angel who teaches astrology. fallen angel who is a great count, earl and duke of hell. pale horse riding fallen angel. fallen angel known as the "prince of demons." fallen angel who is the "demon of the deep." fallen angel who is a terrible king over 85 legions. deceptively beautiful fallen angel whose name means "without worth." fallen angel whose name means "lord of opening." fallen angel of darkness and evil. fallen angel that appears monstrous and teaches mathematical arts. fallen angel who appears as a viper. fallen angel who teaches philosophy, logic and ethics. fallen angel who appears as a dragon with three heads. fallen angel who appears as a thrush or man with a sword. fallen angel who appears as a man with many faces. fallen angel who appears as a star in a pentacle. fallen angel who appears as a good knight with lance. fallen angel who appears in the shape of woman. fallen angel who appears as a leopard. fallen angel who appears as a man with griffin wings. fallen angel who teaches logic and ethics. fallen angel marquis who appears as a sea monster. fallen angel who appears as a cruel man with long beard. fallen angel who appears as a hart with a fiery tail. fallen angel who appears as a man with bat wings. fallen angel whose name means "God is my helper." fallen angel who appears as a small horse. fallen angel who appears as a winged dog. fallen angel who appears as a camel riding woman of beauty. 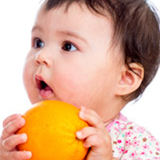 How Would You React to Your Baby's Milestones? What kind of birthday party does your little one want? How prepared are you for your childbearing? How much do you know about breastfeeding? 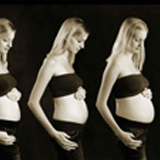 How your body changes in pregnancy? How prepared are you while planning for a baby? List of Christian baby names, Christian babies names, Christian baby names and meanings has been compiled from various resources. Please use this up to date list of Christian name as a reference to name your kid/child. This vast database of Christian names has been compiled from various references and suggestions provided by our web site users and resources partners. This information is developed to primarily serve as a reference. We are unable to respond on request for personalized assistance at the moment. Thank you for your support. Largest list of Christian baby names with meanings, numerology, popularity and comments. Please suggest meaning of name in other country, history of name and famous personality with name or you like to put your any comment/suggestion on this name for other visitors.